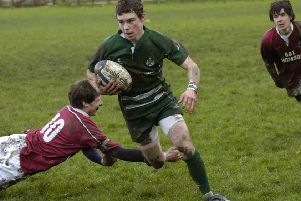 The showcase event in sevens rugby returns to south-east Scotland this weekend, with a rich assortment of clubs gathering at The Greenyards. The Aberdeen Standard Investment Melrose Sevens blends a bunch of top Scottish league clubs with several intriguing guest line-ups from home and abroad. Eight teams have a bye to the second round, with 16 others battling out an appetising series of first-round games. For the host club, it’s a chance to make a big impact, as they sign off from the Premiership for the uncharted territory of the Super 6s. Melrose’s name is not on the Premiership trophy this year, nor will it be on the Scottish Cup, which is fairly unusual by their standards. But head coach Rob Chrystie said the club would be better for it and it would help them re-focus. First round draw: Peebles v Heriot’s (winner to play London Scottish), GHA v Selkirk (winner v Stellenbosch University), Boroughmuir v Hawick (winner v Jed-Forest), Currie v Glasgow Hawks (winner v Watsonians), Kelso v Marr (winner v Tiger Rugby USA), St Andrews University v Gala (winner v British Army), Ayr v Edinburgh Accies (winner v Durham University), Edinburgh University v Stirling County (winner v Melrose).